Cello Teacher Calgary | Good Opportunities for YOU? Search for more about Calgary music and education. Looking for a cello teacher Calgary? You won't be disappointed here in this city. There are several very good private instructors of both cello as well as other string instruments in the area. If it's one of your children who is interested in learning to play the cello, then why not enroll them for one of the summer music workshops first to see if they like it before digging deep in your pocket to pay for private tuition. ...for instance. They should be able to help you with anything associated to stringed instruments, from teachers to music sheets through to the instruments themselves. Perhaps part of your fascination with the cello is the wonderful rich sound that it produces. While it is a perfect solo instrument, it also lends great support within an ensemble to make a string quartet complete. So why not, for something a little bit different, consider choosing an appropriate piece of classical music to study to while practicing your playing. Say Schubert's Trio in Eb Major for the violin, cello and piano. Whatever your ability, your cello teacher should be able to recommend an appropriate piece of music for your skill level. ...see if you can advertise there as they both provide places locals visit to look for a teacher of a stringed instrument. Or you might try the classifieds in the FFWD. Good luck! Meet OUR cello teacher, Calgary. 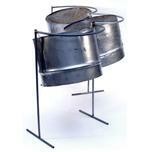 To learn to play a different kind of cello, check out how to learn steel drums in the former CALYSTO STEELBAND. Go back from Cello Teacher Calgary to the Internet Site Map webpage or check out the Calgary City Maps homepage.